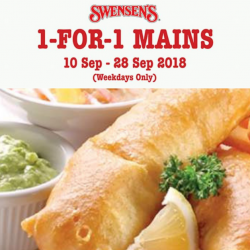 Till 28 Sep 2018 Swensen’s: Enjoy 1-for-1 Mains on Weekdays! 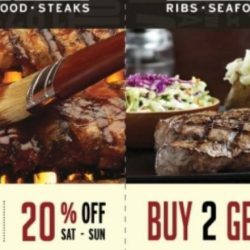 Last week to enjoy this App Exclusive offer at Swensen's! From now till 28 September 2018, enjoy 1-for-1 Mains on weekdays at all Swensen's SG outlets! 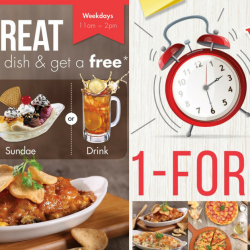 Flash offer on Swensen's app to enjoy! 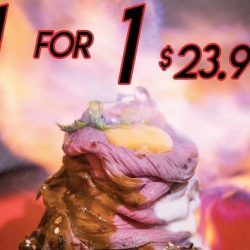 Till 24 Sep 2018 Fumee: Enjoy 20% OFF on Wagyu Burgers! 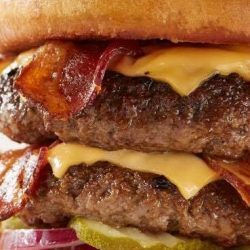 Fumee celebrates with Fabulous 1st TIME EVER 20% discount on all their yummy Wagyu Burgers   It’s NOW or NEVER! 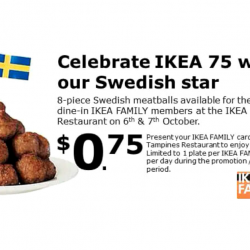 Enjoy this Deal from today until Monday 24th only. 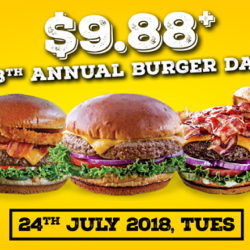 They will be CLOSED on Tuesday 25th for their Burgers stock-up!! 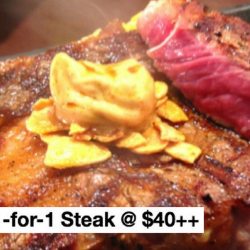 Enjoy 1-for-1 Pasture-fed Ribeye (220g) at only $40++ at Ash & Char! Ash & Char is a modern Asian Gastrobar serving comforting Asian cuisine at lunch time, and transforming into an intimate tapas bar and restaurant in the evening. 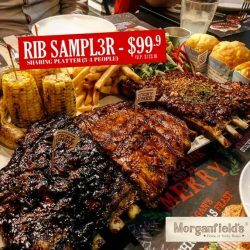 From steaks and salads to burgers and rice bowls, there's a little something for everyone at Ash & Char. 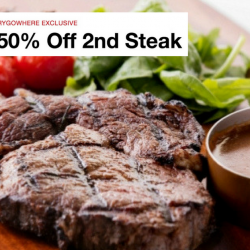 Get this deal now by making a reservation at HungryGoWhere! 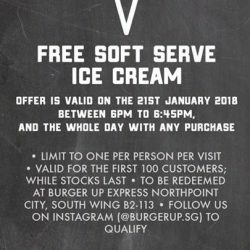 Valid till end March. 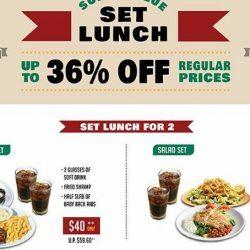 Enjoy lunch at Swensen's during weekdays for a treat! 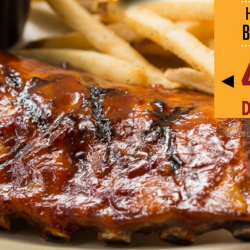 Lunch from 11am to 2pm and get a free side, sundae or drink with any main dish ordered or from 2.30pm to 4.30pm and enjoy 1-for-1 mains or desserts! Jio your friends and colleagues today! 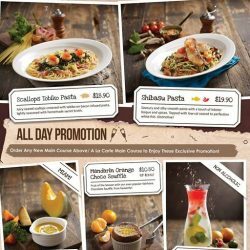 Promotion is ongoing till further notice by Swensen's. 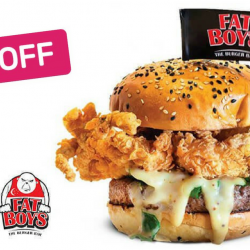 Dig right into a spread of hearty Western main meals from Fatboy's The Burger Bar, where you can choose from 18 different types of dishes that range from its signature burgers, kinds of pasta, and more. With an equally exhaustive beverage list, you'll be spoilt for choice here! 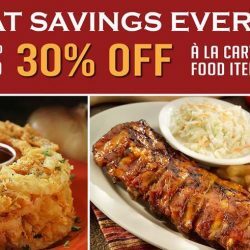 Now enjoy 30% off One Signature Burger / Main Dish + One Drink for One Person when you purchase this Fave deal! 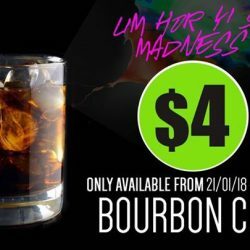 Available for a limited time only. 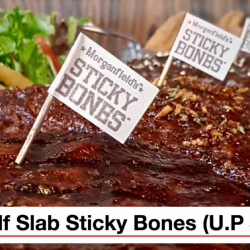 [Marché Mövenpick Singapore] Wanna know what’s the real reason why everyone crowds around the table during the CNY reunion? 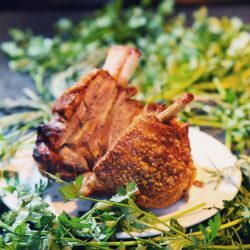 A bite of the delicious tender meat and crunchy crackling skin of our pork knuckles is probably one of the best feeling in the world. 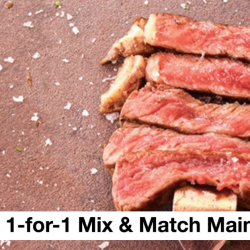 A must-have dish at every gathering! Pre-order yours today at https://order.marche-movenpick.com. 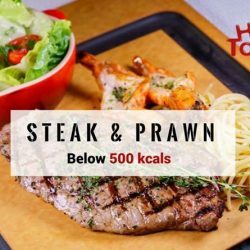 [Hot Tomato] Prawns are low in regular and saturated fats, making them a delicious treat for your seafood cravings. Prawns are low in regular and saturated fats, making them a delicious treat for your seafood cravings. 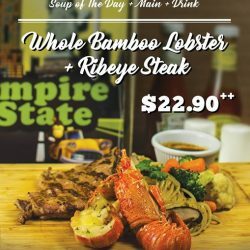 [Empire State] We have just introduced two new combo sets to offer our customers a wider choice of food. [Brotzeit German Bier Bar and Restaurant] It is time for feasting, drinking and merriment! It is time for feasting, drinking and merriment! 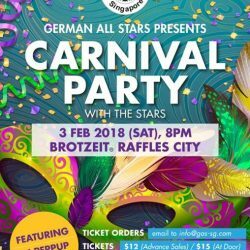 Join in the Carnival Party with German All Stars at Brotzeit Raffles City! German all Start will donate S$4 of the proceeds for each ticket to charity projects in cooperation with GESS.